Coming to Savannah Wednesday, January 21 Through Sunday, January 25, 2015! Ringling Bros. and Barnum & Bailey® Presents Built To Amaze!® — Nuts & Boltz Edition presented by Metro PCS is an extraordinarily engineered circus experience where Children Of All Ages™ find out what it takes to build The Greatest Show On Earth. The foundation is set with the rising anticipation of high-energy, high jinks and hilarity. The audience will be transported by the appearance of colorful circus machinery unleashed from shipping crates right before their eyes from Wednesday, January 21 through Sunday, January 25, at the Savannah Civic Center in Savannah, GA. The party starts at Ringling Bros.® Presents Built To Amaze!® — Nuts & Boltz Edition with the All Access Pre-show an hour before show time, where everyone is invited to join the fun on the arena floor and meet the international cast of performers. Audiences can pick up hip dance moves during the dance party, try on custom costumes, learn circus skills like juggling from the famous Ringling Bros. Clown Alley and even have the opportunity to witness and win a one-ofa kind masterpiece created by one of the world-famous Ringling Bros. painting pachyderms! 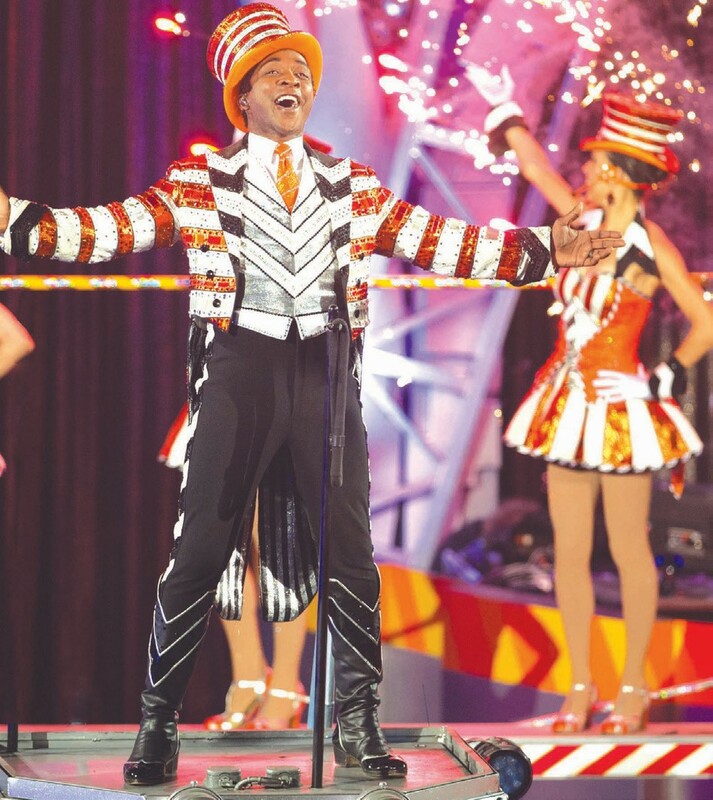 Ringmaster David Shipman leads Ringling Bros. Presents Built To Amaze! — Nuts & Boltz Edition as the funny and mischievous circus supervisor, constructing The Greatest Show On Earth alongside award-winning comedic clown Davis Vassallo. Ringling Bros.combines the high-energy and fiery competition of basketball with the next generation of whirling unicyclists, the legendary King Charles Troupe hailing from New York City! Building it big, an amazing aerial casting act performed by the Dobrovitskiy Troupe will stun audiences as they toss and flip through the air only by the catch and release of each other’s hands while standing on a stilt-like platform. The show is Engineered for Excitement and Custom Built for Family Fun and also features a single trapeze, a crossbow act and lots more! Tickets for Ringling Bros. and Barnum & Bailey Presents Built To Amaze! — Nuts & Boltz Edition Opening Night just $10. All other performances start at $20. All seats are reserved and tickets are available by calling Etix at 800-351-7469 or Savannah Civic Center Box Office. For group rates and information, contact Group Tickets Plus at 770-578-5125. For more information, visit Ringling.com.